Alta Langa is a DOCG sparkling wine produced in several municipalities of the Alessandria, Asti and Cuneo provinces. The harvesting process must be carried out by manually picking the grapes and placing them in small boxes with holes, through which they are also transferred to the pressing and vinification centres of the different wine farms. The use of small boxes allows the transfer of perfectly healthy and intact bunches to the first phase of the winemaking process, the pressing. It is a very delicate phase, conducted with the use of a particular pneumatic press: the result of this procedure is the separation of different phases of must, which each continue individually to the remaining part of their winemaking process. This must separation, obtained from the different pressing phases, is extremely important, because it allows you to bring out the best, year by year, the quality of the final product. In temperature-controlled steel tanks of different size, the alcoholic fermentation starts thanks to the use of selected yeasts capable of conducting the fermentation process in a regular way: it is a phase that is followed with great attention, for the strong impact that its correct development will have on the organoleptic characteristics of the finished product. Between late winter and early spring, the lots of the “Alta Langa” base wine, carefully selected, are mixed together to form the so-called “cuvée”. Once the cuvée is ready, there is the phase called “tirage”, or bottling, adding to this mass a concentrated sugar solution. Then selected yeasts and small doses of refining agents are also added. When the cuvée is perfectly homogeneous, the bottling can start and the bottle is sealed with a crown cork. The bottles are moved into underground cellars and stored horizontally in stacks. In these protected environments, where the temperature remains constant at around 12-15°C, a very slow fermentation, called bottle fermentation, develops: the sugar, by the effects of the yeast, is transformed into alcohol and carbon dioxide. At the end of the minimum bottle ageing period of 30 months, the sediment has to be eliminated from the bottle to obtain a clear wine. This is made with operations called “remuage” and “dégorgement”. The bottles are taken from the stacks and placed on special wooden trestles (pupitres) that have holes made in such a way that the bottles can be positioned at different inclinations. Starting from their original horizontal position, the bottles are manually tilted upside-down by one-eighth or one-quarter, each day, gradually increasing the inclination, until they are almost vertical. Thus the sediment slides along the bottle walls and is deposited at the cork. The “remuage” lasts 1-2 months, after which the bottles are removed from the “pupitres” and held upside down, until the “degorgement”: once a very delicate operation, today it is made with a very simplified system called “à la glace”. The neck of the bottle is immersed for 3-4 centimetres in a coolant solution at 25-30° below zero; a part of the wine freezes and forms a kind of cap that imprisons the sediment to be removed. At this point, the bottle is replaced upright without any danger that the sediment can fall down again into the clear wine. Manually or with the aid of automatic machines, the crown cork is removed and internal pressure squeezes the ice cap out together with the sediment. Then, the bottles are corked and packaged. The product is now ready for the market and consumption. The production of sparkling wines under the name Alta Langa includes a large area of Piedmont, which spans three provinces forming a long hilly belt in the southern provinces of Piedmont to the right of the Tanaro river. This type of cultivation prefers areas with moderate sun exposure, with good temperature range and with restrained humidity. Normally, such environments have a bioclimatic index (Huglin) between 1700 and 1800, with altitudes ranging between 280 and 550 meters above sea level. The Piedmontese wine environments show, alongside a not too accentuated soil variability, a considerable alternating of climatic conditions and growing practices. Alta Langa can be produced on marly, calcareous and clayish soils with moderate fertility, on hills rather than on the valley floor, where the soil is too wet and flat. The altitude should not be less than 250 meters above sea level. Around 1850, Marquis Leopoldo Incisa had included several French grape varieties in his ampelographic collection located in the vineyards of Rocchetta Tanaro, in what at the time was the province of Alessandria (which also included the city of Asti). However, these vines were not very popular especially among winemakers. The farmers’ dislike towards the foreign varieties was demonstrated again towards the end of the century by the complaints of the owner who succeeded Marquis Incisa, since he could not find any farmer willing to cultivate them. In fact, in the mid 1800s, in Piedmont there were Pinot plating patterns. Even by the early decades of the 1800s, the Counts of Sambuy had begun to introduce some renowned French vines with the express purpose of improving the local vintage. Carlo Gancia, however, brought about the spread of Pinot and Chardonnay among wine growers in the district of Canelli, to allow a certain amount to be used in the production of its sparkling wines. With the Project Spumante Metodo Classico in Piedmont, from which the name “Alta Langa” came from, the Piedmontese industry of sparkling wine gave its territory a contribution of precious financial and technological aid to land where wine production, for decades, had remained unexpressed outside of mere scientific research. It was proved that the Piedmontese hills where the vine had, over time, gained a significant and lasting presence, also possessed the vocation for varieties specializing in the production of classic method sparkling wines, according to a development model where theory and practise had to be carried out together. 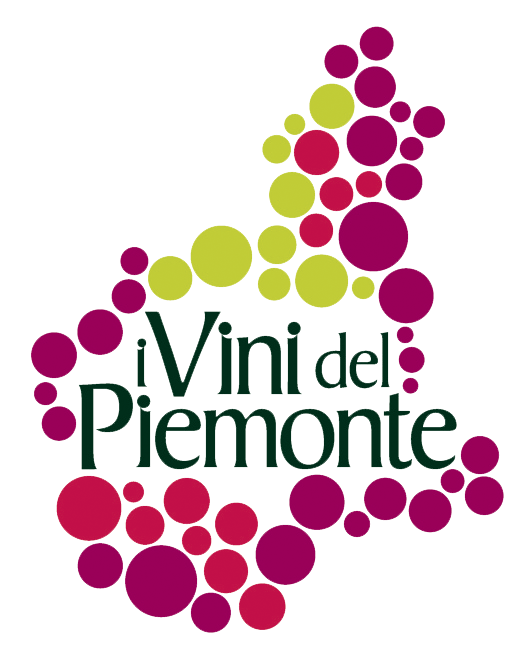 The same harvesting strategy, primarily based on manual operations and the exclusive collection of the grapes in small pierced boxes, also used for the conveyance to winemaking, involves a special commitment, which pays off with a product proud to represent the excellent Piedmontese sparkling wines to the world. Eating, in Italy, usually goes hand-in-hand with the serenity and passion for the good things. In addition, rarely appreciated is the detached demeanour of those who do not know the right way to share convivial occasions. A sparkling wine such as Alta Langa is perfect for an aperitif but also to accompany a meal, especially because it exists in the white and rosè versions. Among the appetizers, we can immediately associate it to a series of dishes based on fish and seafood (salmon in different ways, seafood salad, oysters, sturgeon, smoked trout and many more) that can accompany with elegance this classic method sparkling wine. It is also great with first courses like risotto and pasta with a long shape, enriched with a sauce of vegetables and fish or truffles. Second courses, both of fish and meat, dishes of braised red meats and stews can be pleasantly tasted with a single vintage Alta Langa rosè of a certain structure. If you really want to unlock your imagination, the Alta Langa could be paired in a more daring and unusual way: a marvellous cotechino (Italian pork dish) with lentils could be matched with Alta Langa rosé, or you could also pair it with the traditional fondue or a series of vegetable flan. However, it absolutely has to be paired with the great fritto misto, a dish with fried meat or fish, as well as deliciously barbecued fish and vegetables. And, among the cheeses, the prestigious Parmesan is an excellent testing bench.